Self defense carries consequences, but it’s better than the alternative. 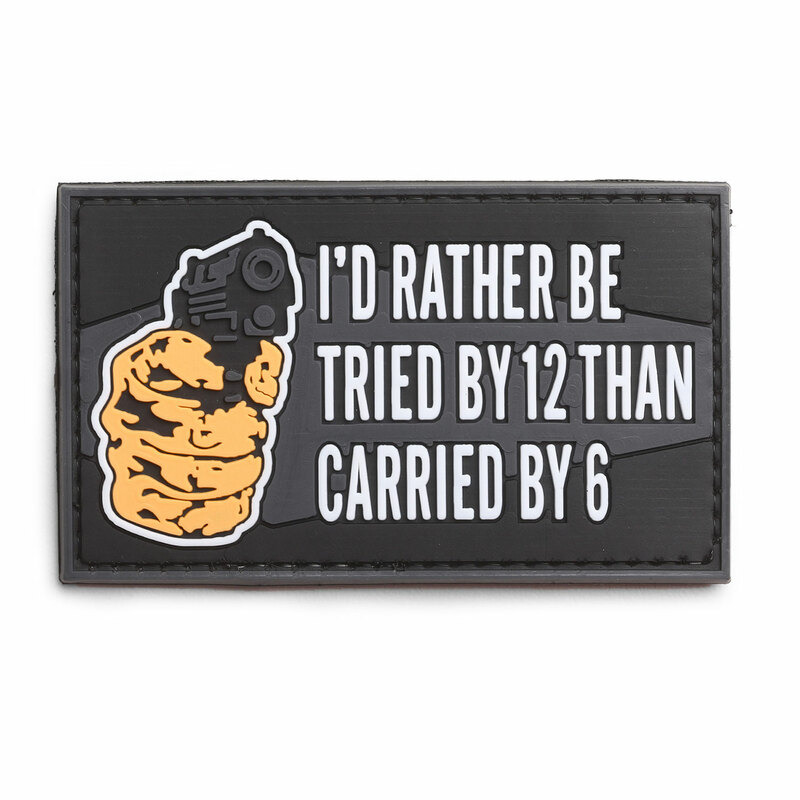 Make a statement that you’re ready to defend yourself despite the consequences, with 5ive Star Gear’s “Tried By 12” morale patch. The patch attaches by a backing of hook material sewn directly on for ease of attachment and removal to bags or clothing that have loop already attached.